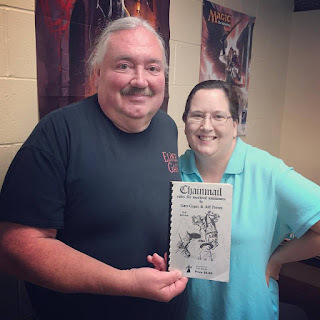 Polyhedral dice have been used in roleplaying games since the beginning and one of the stalwart suppliers of those dice has been Lou Zocchi of Gamescience Dice here. Their precision dice are the envy of many lesser dice manufacturers and they take it seriously. In 1983, the Dragonbone Electronic Dice wand hit the wider market but at $25 it wasn't embraced by everyone and, of course, trying to get gamers to trust an electronic dice or replace their actual dice wasn't going to happen. 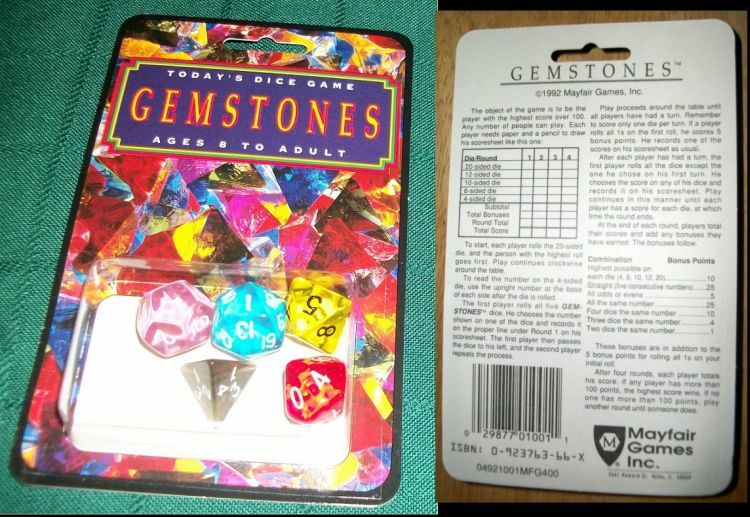 In the early 1990s, Mayfair Games started selling a standalone Gemstone dice game using polyhedral dice sets for their Gemstone dice game that included one d20, one d12, one d10, one d8, and one d4, but no d6. 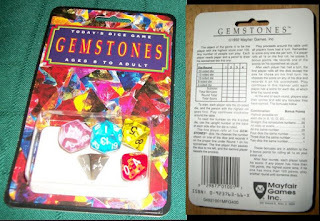 The rules for the game came right on the back of the blister pack.